When people bring their pets to us, especially pets who are having problems with behavior and temperament, the problem may not be with the owner or the training. Sometimes the issues have an underlying medical cause, so we always rule that out as the source of the problem before proceeding with training. 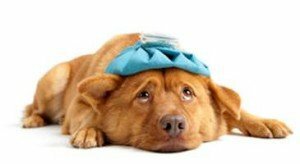 Please see: Medical Causes and Treatment of Behavior, Temperament, and Training Problems for more information about this topic.